Her work was often categorized as Surrealist; however, it was not derived from her dreams or subconsious mind in the usual Surrealist fashion. The majority of her art was almost always grimly biographical. We're talking about Magdalena Carmen Frida Kahlo y Calderon or as you probably know her, Frida Kahlo. Born on July 6, 1907 in Coyocoán, Mexico City, Mexico to Guillermo Kahlo and Matilde Calderon y Gonzalez, Frida had a rocky childhood. Contracting polio at 6 years old, her right leg turned noticeably thinner than the left one, which made her a target of bullies. It also made her the favorite child where her father was concerned. Guillermo was epileptic and because Frida also shared a disability, the two would bonded closer than before. He taught her nature, philosophy, literature, and photography. 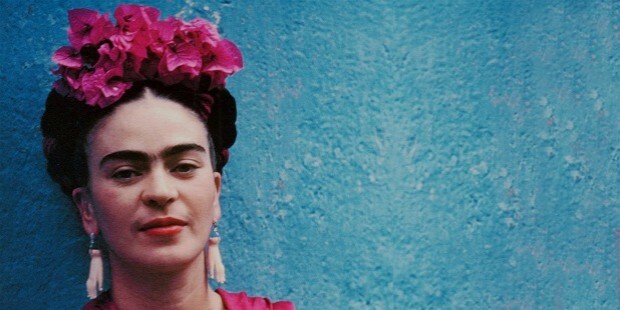 Frida often helped him later in developing, retouching, and coloring his photographs. Guillermo also encouraged her to speed up her recovery from Polio by exercising and playing sports. Frida took up many, enjoying swimming, bicycling, wrestling, roller-skating, and boxing, sports mostly reserved at that time for boys. Frida was born in 1907, but she would later say that the date was 1910 because she wanted to be associated with the Mexican revolution. Describing her childhood, Frida said that she and her sisters Mathilde, Adriana, and Cristina were often moved into the house by their mother when there was any gunfire heard outside. Sometimes, men leapt over the walls into their backyard and if they were revolutionaries, Matilde senior often fed them a home cooked meal. 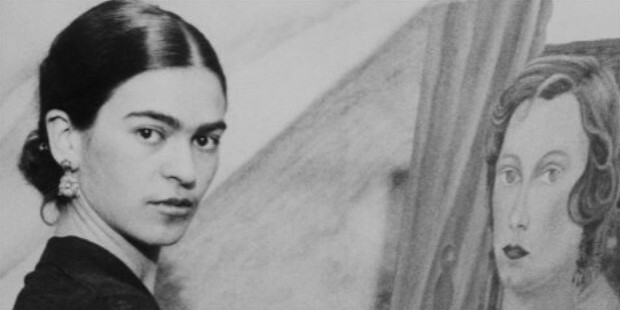 At 15 years of age Frida was enrolled in the Prepatoria, a prominent Mexican school where she would study medicine. At the same time, a famed muralist named Diego Rivera, went to work on a piece called 'The Creation' in the local lecture hall. 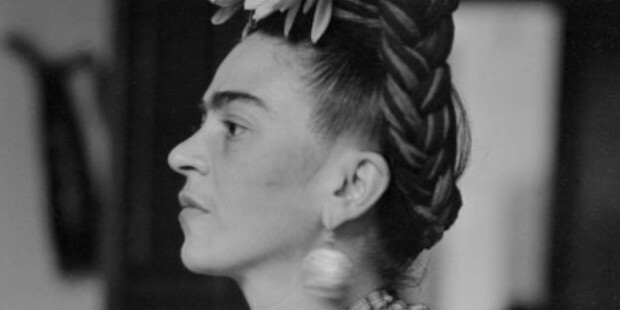 Frida was fascinated and often watched him at work. One of only 35 girls at the school, Frida soon joined a gang of revolutionary-minded students there and fell in love with their leader, Alejandro Gomez Arias. Three years later, in September of 1925, she and Alejandro were riding in a wooden bus on the way home from school when it collided with a street trolley. Several people died. Frida survived, but it was close. Her pelvis had been fractured and speared by an iron handrail. Many ribs, her collarbone, and her legs also suffered severe fractures and she had to wear a plaster corset and other casts for many months afterwards. She spent this time in bedrest at La Casa Azul(the Blue House), the home of her parents. 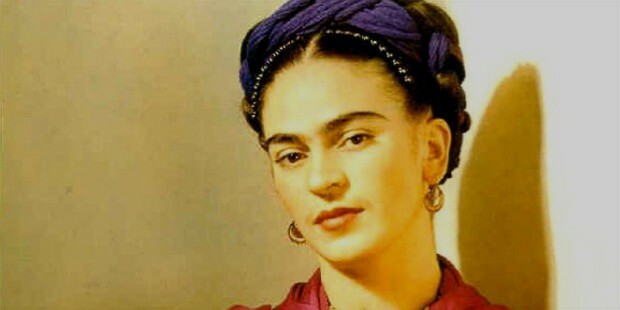 During this time, Frida occupied herself by painting with a special easel that she could use in bed. She had a mirror suspended overhead as well so that she could practice portraits with her own reflection. The accident had taken away her desires of being a doctor and replaced them with a new one. In her own words, "To begin again, painting things just as I saw them with my own eyes and nothing more. In 1928, Frida once again approached Diego Rivera and asked for advice regarding the pursuit of a career as an artist. He praised her talent as being 'truly special and distinctly Mexican' and encouraged her to develop it further. They soon began seeing each other more intimately and were married in 1929. 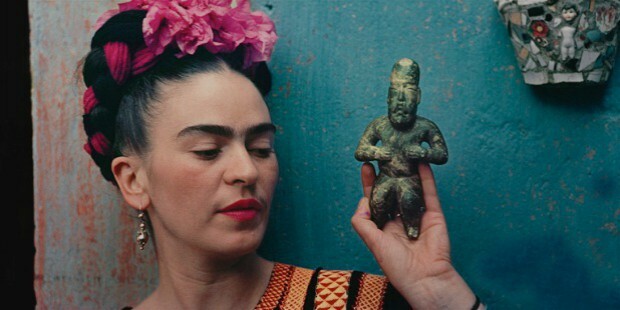 Kahlo and Rivera lived in many places after this, mainly following the path of Rivera's commission. A tumultuous marriage with rampant infidelity on both sides, the couple sometimes lived in the same house, sometimes in separate, but often adjoining houses(in one case, with a hall that connected the two houses so that they could meet for meals). 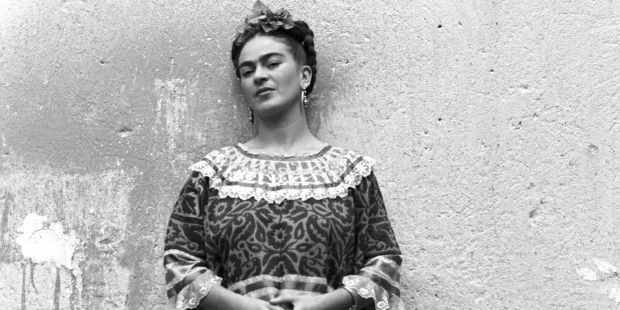 Frida received little recognition for her work until almost two decades after her death with the rise of Neomexicanismo in the 1970's; until then, she was being mostly known as 'Diego Rivera's wife'. Still, some recognized her genius during her lifetime. 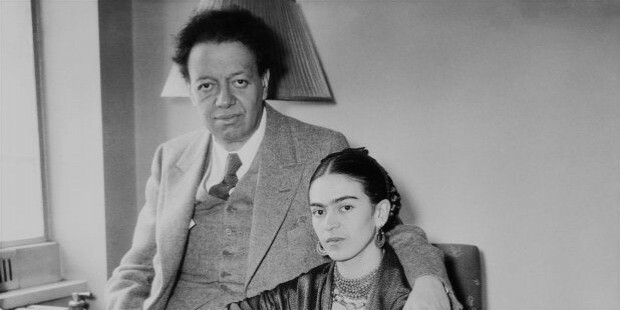 In 1930, while Frida and Diego were living in San Francisco, California, she showed her painting 'Frieda and Diego Rivera' at the Sixth Annual Exhibition of the San Francisco Society of Women Artists where it was well-received by critics. In 1938, while they were living in New York, she made the acquaintance of Andre Breton, a Surrealist painter. 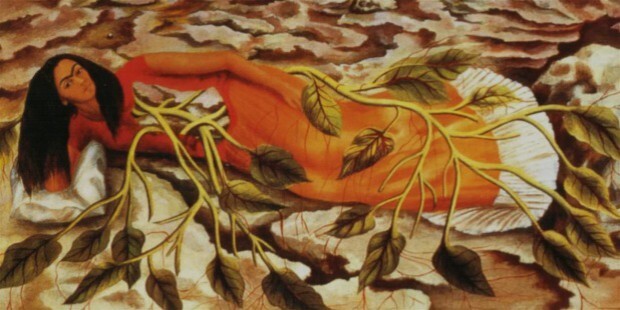 While compared to Surrealists whose inspiration are drawn from dreams or the subconscious mind, her work was different in that it was mostly autobiographical- drawn from her pain and personal experience. Still, this friendship of mutual admiration would pay off for her in the future. 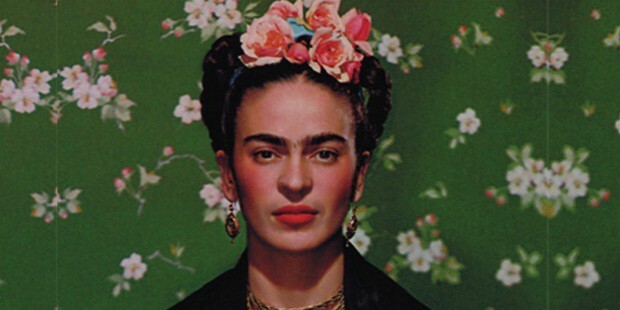 This was a good year for Frida as she had sold 25 of her paintings that were displayed in a New York City exhibition. Frida would receive 2 commissions over this, one of them infamous, from a friend and magazine editor named Clare Boothe Luce. She wanted a portrait done of a mutual friend of theirs who had committed suicide, actress Dorthy Hale. 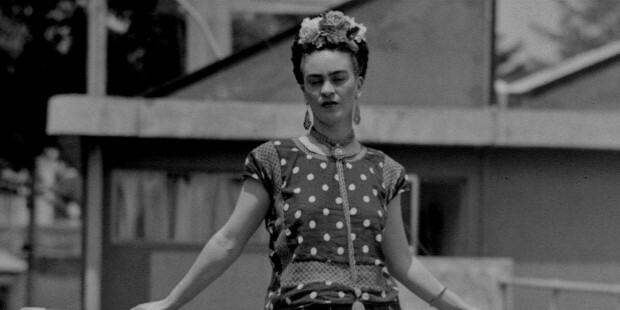 Instead of painting a portrait, Kahlo chose to depict the moment of the actress jumping to her death, resulting in astonished approval of critics and the horror of her patron, Luce. It was titled 'The Suicide of Dorothy Hale'. In the wake of her success and growing notoriety, her friend Andre invited her to show her work in Paris exhibition as well and the Louvre purchased one of her works. It was entitled 'The Frame', and it the first time a Mexican artist's work was purchased by a museum of international reknown. She divorced Diego and later moved there in 1939, becoming friends with artists such as Pablo Picasso and Marcel Duchamp. Here she would develop one of her most famous works, entitled, 'The Two Fridas', a stark depiction of her loved and unloved side, one bloodied and one depicted whole and in bright colors. She would receive a commission in 1941 from the Mexican government to paint 5 portraits of notable women but was unable to finish the project due to the death of her father and her growing health issues. She produced a work in 1944 depicting her damaged spine, entitled 'The Broken Column'. At this time she was trying a number of treatments to help with her health problems but with little success. Ten years later, in 1954, she died from a pulmonary embolism, possibly related to an overdose of her pain medication. 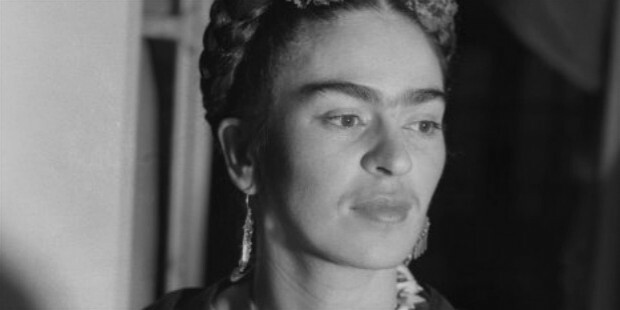 Frida Kahlo produced approximately 200 paintings, drawings, and sketches in her lifetime, largely depicting her physical pain and also the emotional pain of her marriage to Diego(whom she remarried in 1940). Guillermo Kahlo was her father and Matilde Calderon y Gonzalez was her mother. She had three sisters-Matilde (c. 1898–1951), Adriana (c. 1902–1968), and Cristina (c. 1908–1964). She also had two Stepsisters, María Luisa and Margarita who were raised seperately in a convent.